Visit EIZO at this year’s Radiological Society of North America (RSNA) conference which will be held at McCormick Place in Chicago from December 1 – 5, 2013. We will be showcasing our entire line of RadiForce medical LCD monitors for use in every imaging modality. Our line-up of RadiForce medical monitor solutions delivers exceptionally accurate and stable image display at leading hospitals around the world. Our commitment to technological innovation includes making products that are as ergonomic, environmentally friendly, and economical while still delivery the imaging required in the most demanding medical modalities. EIZO continues to improve efficiencies in patience care by providing products of unsurpassed quality, consistency, and value. This year marks the first introduction of EIZO’s multi-modality monitor series, Multi-Series, which allows users to view both color and monochrome images on the same display at the correct color gamma values and new 6MP and 8MP monitors are at the forefront. The RadiForce RX650, a 6MP color monitor, completes EIZO’s diagnostic monitor line-up and solidifies EIZO as the most robust monitor offering in the industry. This Multi-Modality approach allows hospitals to streamline their workstations and make product investments that are more flexible than ever before. A recently expanded clinical review line-up, RadiForce MX-Series, will also be on display and offers effortless quality control. The newest member of this offering is the RadiForce MX215 which offers an exceptional flexibility to view not only patient records but also DICOM compliant medical images on one screen when final hard diagnosis is not required. 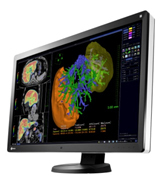 Meetings and demonstrations with EIZO can be scheduled through our RSNA Microsite at www.eizorsna.com. 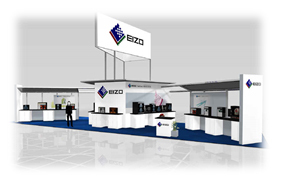 The EIZO booth is located in the South Hall, Booth 1735.